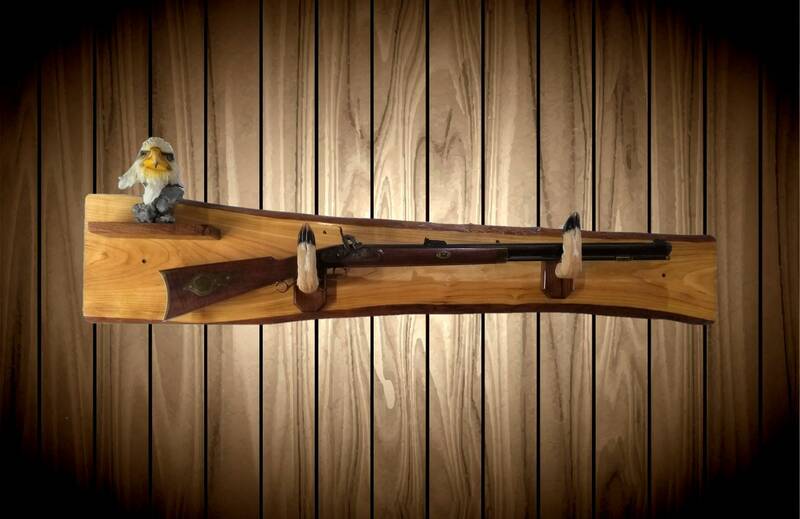 Gun Rack With A Rustic Character. 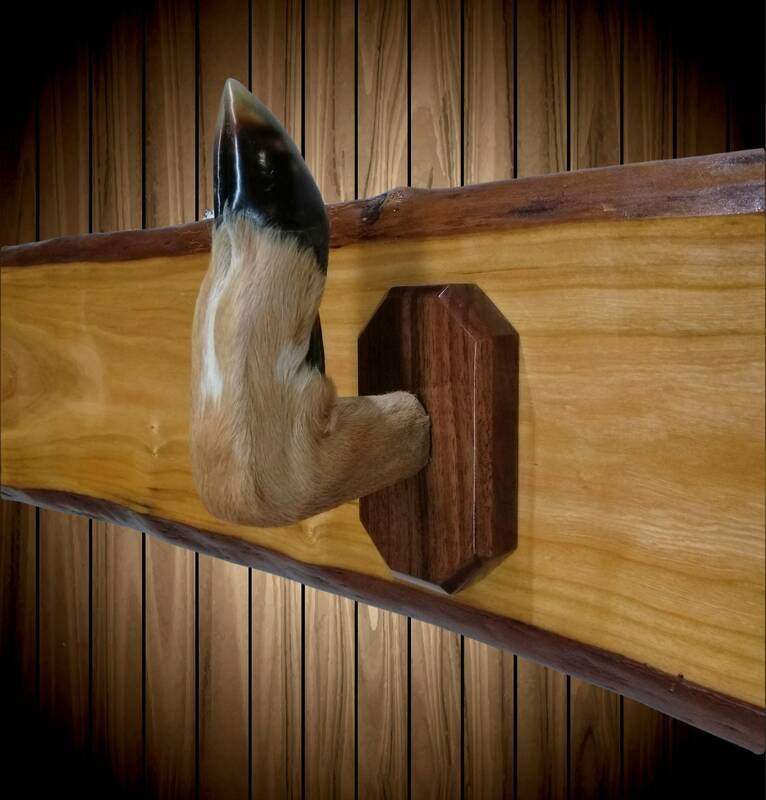 Live Edge Wood Wall Decor. 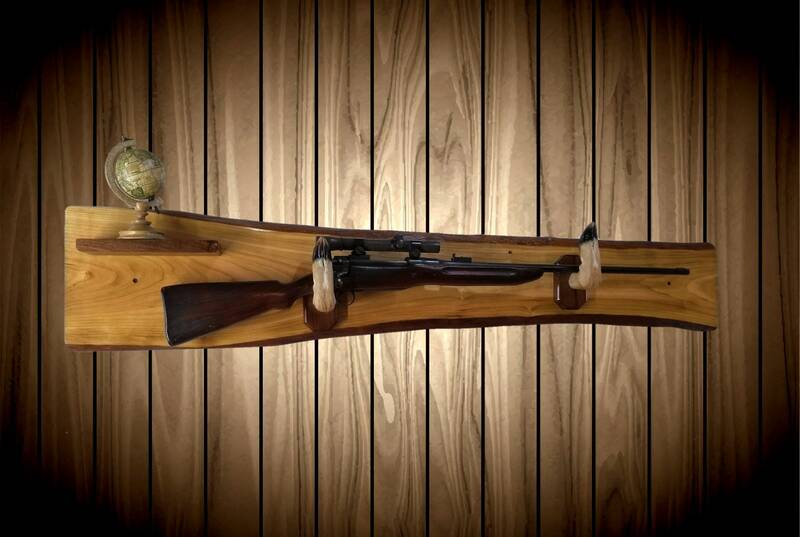 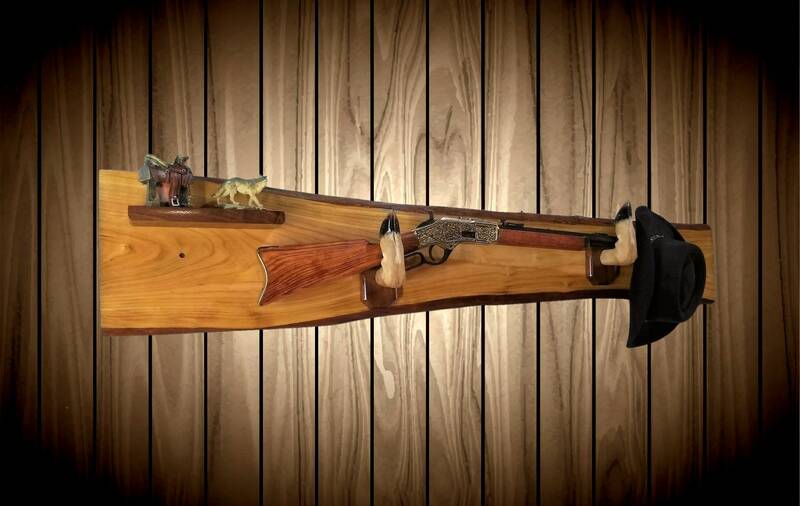 This Gun Rack Looks and Fits Well With Most Any Traditional Guns. 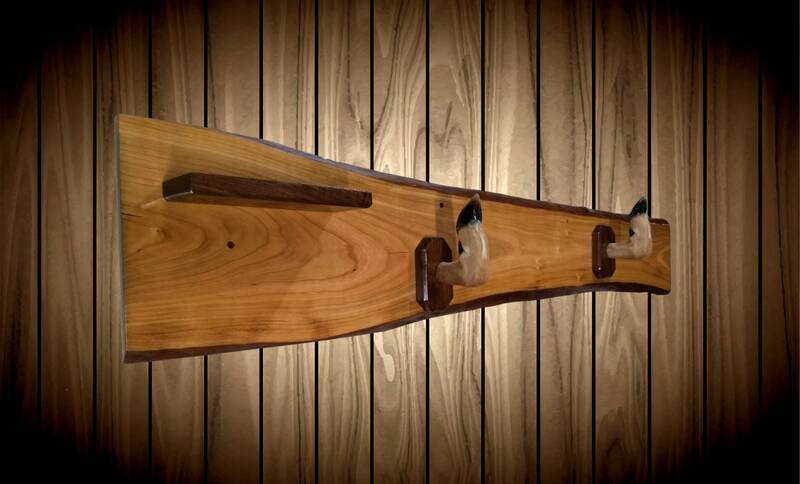 • Live Edge Red Maple. 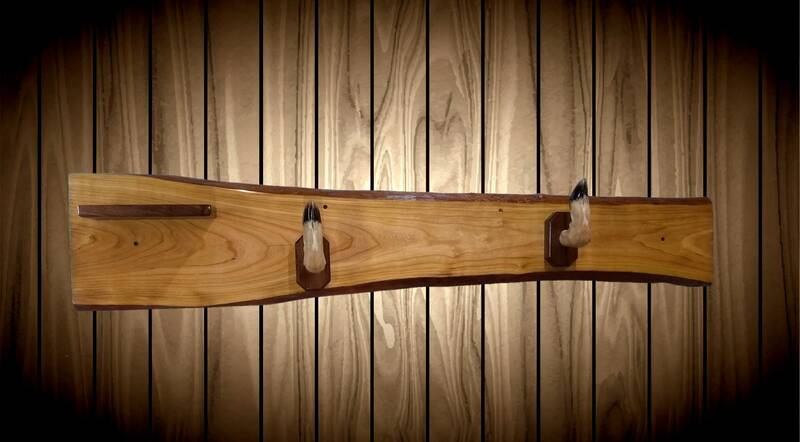 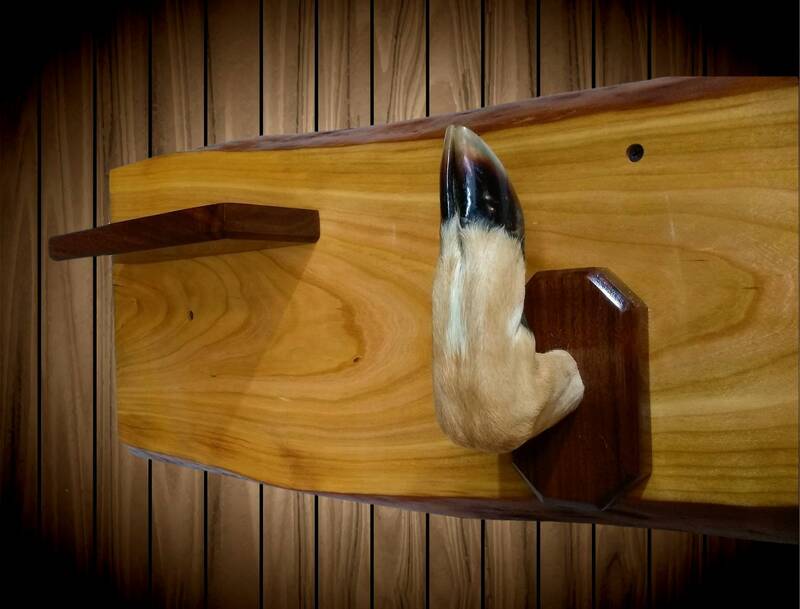 • Walnut Framed Deer Hoof Hangers. 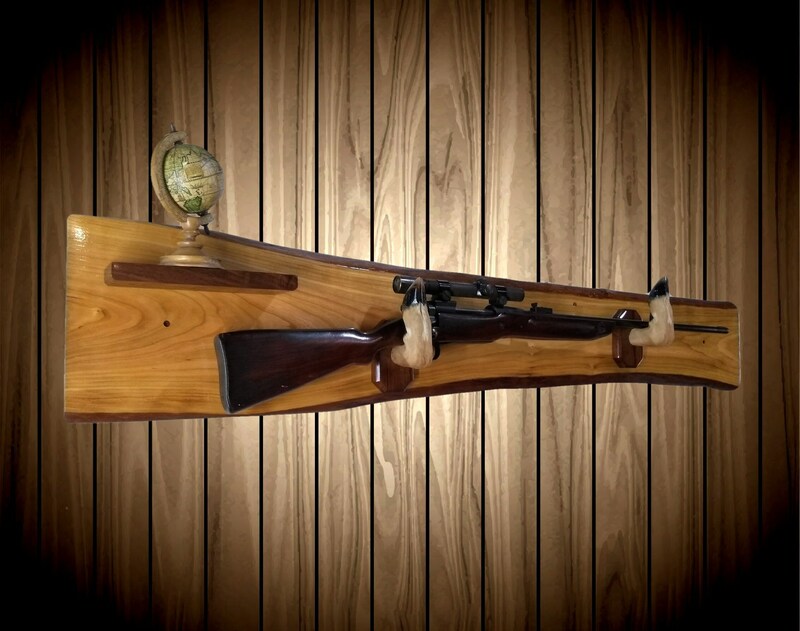 Hangers and Shelf Ship Loose. 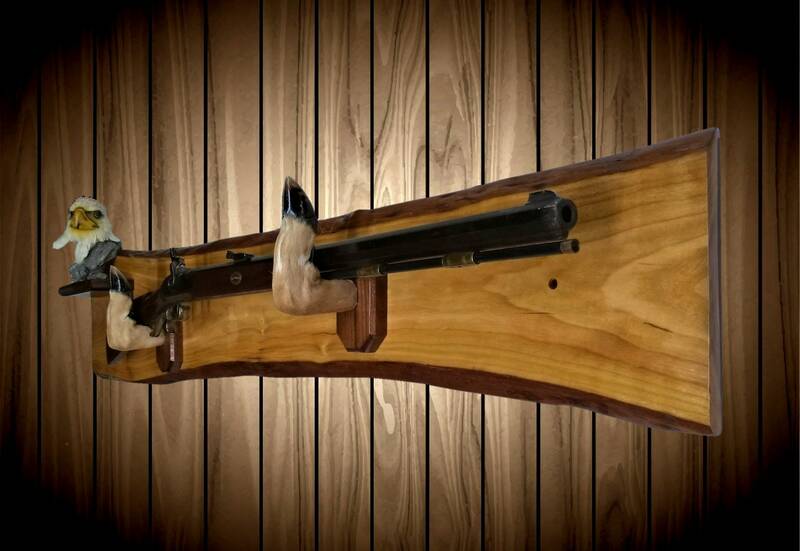 Ready for Reassemble. 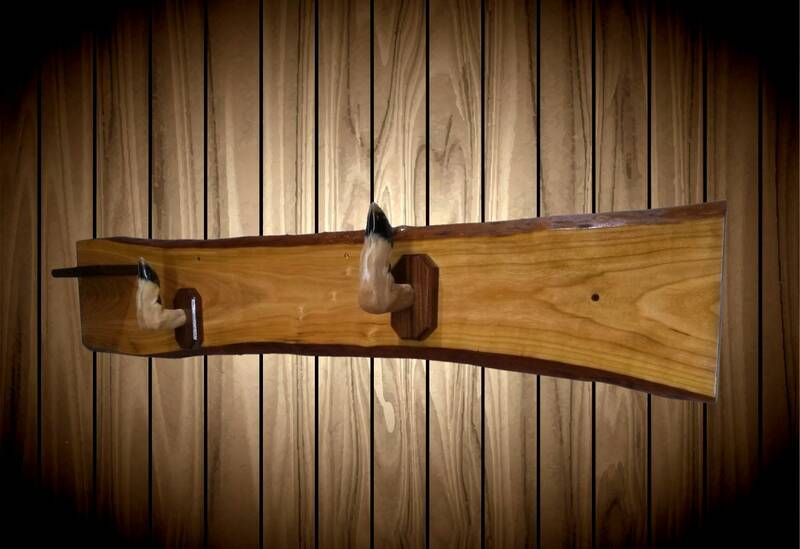 Thickness of Maple Body: 3/4"
Shelf Size: 10"w x 3 1/2"